Driveways and patios are some of the most critical components of any building. They add flair, serenity and character to the building making it lively and interesting. Worcestershire is home to some of the most beautiful buildings and driveways you could find anywhere. Some residents have gone out of their way and made fabulous driveways that look like something from the movies. At The Driveway Company, Worcestershire, we believe that beautiful driveways not only add to the beauty of the structure but also give a warm welcome to visitors, providing a mind jogging place to land on. When thinking about resin driveways, there are quite a number of factors to consider: durability, cost, styles of driveway, and ease of application among others. Having all these in mind, a resin bound driveway or a resin bonded driveway is the ideal candidate to sort out your driveway construction needs. They are stylish. Amazingly colourful, warm and inspiring. I bet the question in your mind right now is “what is a resin bound driveway and why is it so phenomenal to make it an ideal candidate for my home?” Well, let’s jump to the juicy part and look at what a resin bound driveway is and the mystic-like features it holds. No technical stuff, I promise! Resin bound driveway is a blend of gravel bound in a transparent UV stable resin. The resin mix provides a smooth surface for your driveway. It is permeable and thus let’s water sip through to avoid flooding but also sturdy enough to resist cracking. Many people are going for this option now. To get the most out of your resin bonded driveway; you need a qualified professional in Worcestershire to advise you on the style, type and costs of the driveway that is most suitable for your front of house. Resin driveways have some exceptional qualities that not many other driveways can boast about. If you are looking for a company capable of installing resin driveways in Worcestershire here are some of those qualities you will appreciate having in your driveway, path or patio. Tired of that uninspiring tarmac driveway? 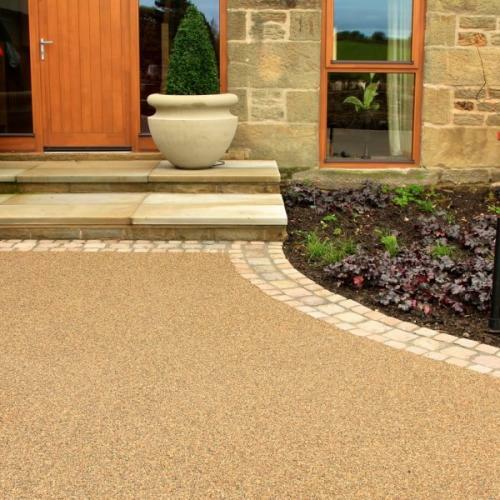 Resin bound driveways give you the option of working with more than one colour. For art fanatics, here is an easy way to bring out the inner artist in you. You can blend colour as you wish and make intricate designs that look like a print from Da’Vincis art book. The only limit might be your imagination and size of your work area of course. To add spice to this quality is that the resin is UV stable hence will not fade on exposure to the scorching sun. Its anti-stain property means that occasional oil spills will not permanently stain your driveway. Compared to other types of driveways, the cost of installing this driveway is relatively small. For a very long time, we have believed that construction is a very costly. A misconception? Yes. With resin driveways, the tables have turned. With a stable ground set, laying of the resin bound material is easy, cheap and fast. In the case where it’s a first-time construction of the driveway, excavation and setting of the base material are required. If you are looking to upgrade your driveway or lay a new one, the cost is still significantly lower for those with a tight budget or wish to save a little for a rainy day. Resin driveways’ ability to let water drain through is one of those qualities that cannot go unnoticed. With the increased urbanisation in Worcestershire, stormwater management has become one of the key factors to consider when doing outdoor paving etc. Using this type of permeable resin that lets some of that surface lying water drain through to the ground is a personal responsibility that goes a long way in reducing the devastation that might have been. It not only feels good to know that you are helping, but it also sets an excellent example for other homeowners to do the same. One of the things that people fear most about construction is the amount of work that has to be put into it. 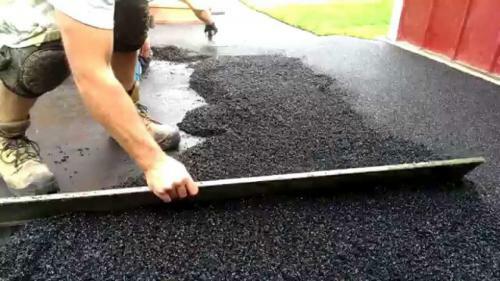 Resin driveways have a straightforward laying procedure. Where there is no suitable existing base, you have to excavate the current material and fill with a suitable material. That could either be tarmac, asphalt or concrete. Then the resin mixture is carefully poured on top and spread according to the designs preferred. If there is already an excellent existing base, then the task is most simplified. Professionals mix the component in the manufacture specified quantities and overlay the existing base. If the installation is done by an amateur, you can be sure that the driveway might not last as long as it should. Get a professional’s assistance in the setup to avoid cracking and wear that is as a result of shoddy installation workmanship. What is the quality of the finished driveway? Well, without a doubt, a resin driveway will give you more than your money’s worth. Scientists in a construction summit were impressed by the durability of the resin bound driveway displayed during tests. “It is simply a revolutionary construction technology.” They said. The finished driveways are smooth and have a vibrant burst of colour. The surface is also extra hard to carry heavy loads. On installation, it lasts a very long time before you can even think about repair. Whether the driveway is just for your vehicle or has a basketball hoop mounted for the occasional outdoor fun, resin driveway has your back. Resin driveways are also low maintenance. Unlike its competitors in the market, resin driveways are merely cleaned by spraying water on the surface and sweeping with a hard broom. With this comfortable routine, you will keep out grass and other weeds from ruining your driveway. 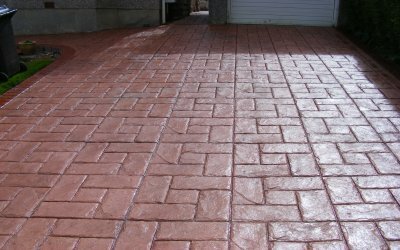 Is a resin driveway ideal for me? Resin driveways are one of the few products that can be said to cater to everyone’s needs. Whether you are new in construction, you want to do repairs or whether you just want to get something new to replace the old; resin driveways is meant for you. When it is laid, it is conducive to driving on, outdoor games such as riding a bicycle, skating, basketball or tennis. Doing motor repair work will also not be a bother due to its anti-stain properties. Are they financially viable? By all means YES. Resin bound driveways and resin bonded driveways are very cheap. If you look at the costs of driveways, you will realize it is one of the cheapest options you have. Everyone smiles when cost-effectiveness is mixed with performance. If you like clean, neat driveways, then this is definitely for you. With a little water and a hard broom, things will remain in tip-top condition. You will enjoy the look of your driveway every morning and evening as you drive into it; and not mentioning the flair and serenity of the resin driveways. There are other types of driveways such as rubber crumb driveways, asphalt driveways, gravel driveways, concrete driveways among others. All these driveways have their advantages and disadvantages. None of them, however, compares to the package that resin bound driveway has to offer. With this choice, you will save cash, enjoy beauty and performance. It surely does not get better than that. 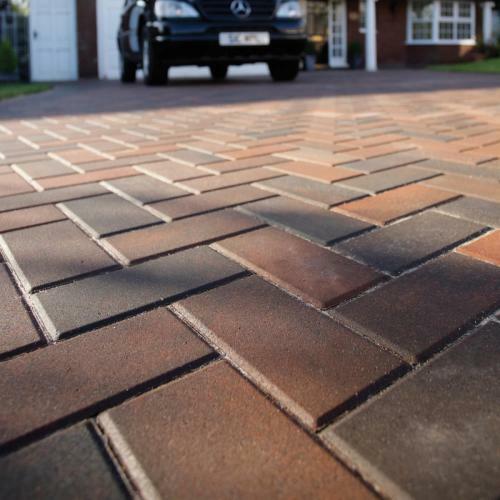 Why not have the pleasure of owning one of the best driveways Worcestershire has to offer.